New to Budgeting? Start Here. A budget is nothing more than a plan that helps you make sure that you are spending less than you earn. It's a roadmap for your money. If you don’t like the word "budget," feel free to call it something else, like "spending plan." The easiest budget is something that I call the anti-budget, in which you simply yank your savings off the top and freely spend the rest. This approach is super-simple, easy to stick with, and cuts straight to the chase. 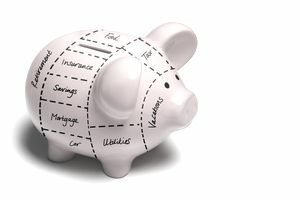 You ensure that you’re saving enough, and you don’t stress out about where the rest of your money is going. Budgets are tools that make it easier to be conscious of how you’re spending money. Regardless of whether you are a student, a working adult, or a retiree, budgeting can help you think critically about where your money is flowing. Your emergency fund is simply money that you set aside for a rainy day such as if you lose your job, if your car breaks, or if your roof starts leaking. Ideally, this should represent at least three to six months’ worth of your expenses. This way if you lose your job in the same week that your car and roof both break, you’ll still be okay. High-interest debt, in particular, is something that you should focus your efforts and energy upon. Lower interest debts such as your home mortgage aren’t as much of a concern. You'll want specific, targeted funds for major expenses such as a wedding, a down payment on a home, holiday gifts, vacations, and paying cash for your next car? If not, you may want to create funds for these as well. There are many ways that you can set up a budget. At the most basic level, you can create one with paper and pen. You can also use these free budgeting worksheets, which you can print out here, or create your spreadsheets using Microsoft Excel or Google Spreadsheets. There are also a handful of different online software options that you could choose from, some of which are free and some of which are not. There is no right or wrong answer regarding how simple/complex your budget should be, and what tools you should use. Feel free to pick any of the available options that work for you.